"Do you use the left or the right side of your brain? For the artistic among you we have another series of our popular ANATOMICAL ANOMALIES 8 week sketch class starting February 1. Get up close with pieces of our collection not normally on display. 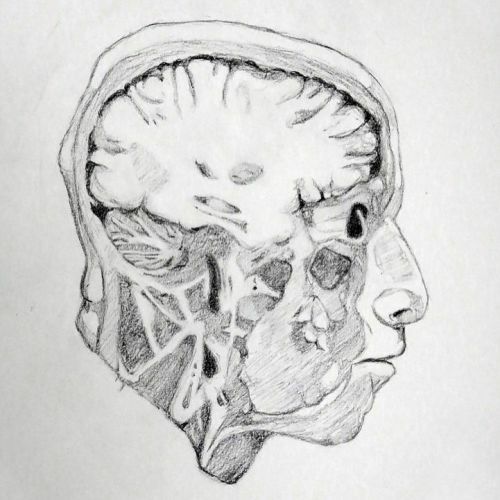 This sketch of a head slice was drawn by Robbie Bolluyt at a previous #anatomicalanomalies session. #medical #brain #brains #headslice #anatomy #anatomical #pathology #art #drawing #sketch #muttermuseum #sketching #philadelphia" By muttermuseum on Instagram.